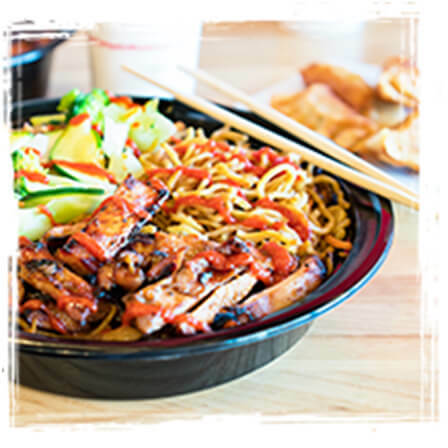 There’s a reason Teriyaki Shops are found everywhere in Seattle; teriyaki is fast, delicious, and healthy. With success across the country, raving fans, and average unit volumes (AUV) over a million dollars, we took TMAD to the next level. TMAD is spreading fast and now operates in 17 states and soon to be 50 open shops. Fully transparent financials: The Franchise Disclosure Document (FDD) includes all Income Statements from shops open 2+ years. 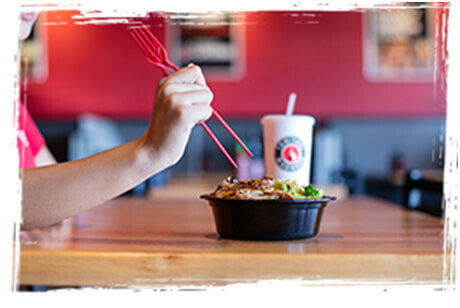 Fast Growing Segment: The Asian food segment is poised for massive growth as consumers are fascinated with Asian cuisine with a nearly 500% growth in the Asian food trend since 1999. 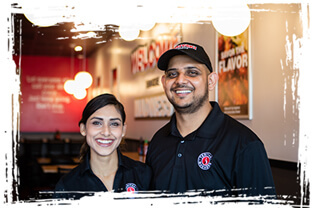 Affordable Investment: The total investment is estimated to be significantly lower than the initial investment for a fast-casual restaurant, providing you with the opportunity to open multiple locations, faster, with a superior return on investment. Flexibility with store placement with ability for inline stores, small footprints, relatively lower rent, and inexpensive buildouts help franchise owners to increase profits. Ideal square footage is 1600-2000 square feet! 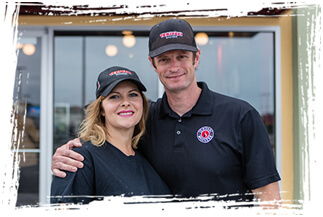 Seasoned Support Team: With a highly capable and dedicated support team with combined 125 years of food franchise experience and outsourced, partner-suppliers, TMAD recognizes the importance of a 1st-class Support Team. 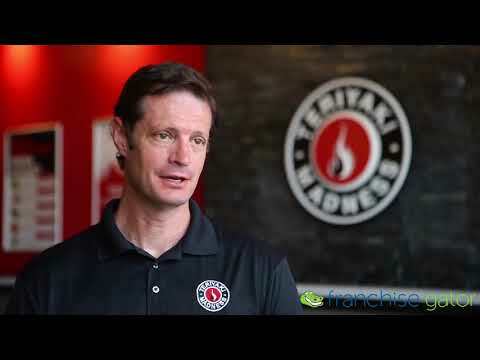 Franchise-Wide Benchmarking: TMAD owners challenge not only themselves but each other through transparency reports that compare gross revenues, COGS, labor and more to push restaurants to higher profits! Alternative to Fast Food: Big Bowls provide a delicious, healthier, and more fulfilling alternative to the usual fast food experience of burgers, subs, and pizzas. Includes a simple streamlined menu with high quality ingredients, made-to-order with full customization. Who Are Our Ideal TMAD Owners? Management infrastructure is already in place including: Infrastructure, store functions, day to day operations, etc. 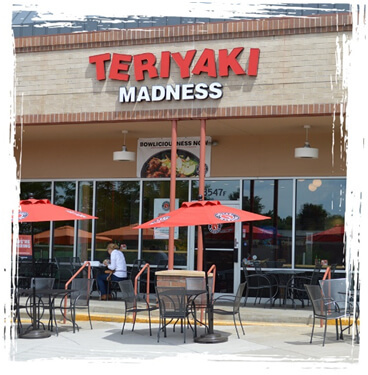 From strip malls to power centers, from urban to suburban, and from new build to retro-fit, Teriyaki Madness can be adapted to a wide variety of real estate. When you work with the Teriyaki Madness Real Estate Team, you get the experience and guidance of a local broker, access to industry leading site selection technology and proven real estate metrics to achieve confident results. We consider our “sweet spot” for our shops to be between 1,600 to 2,000 square feet. Typical TMAD shops are near other national fast casual brands, with high traffic or pedestrian counts and surrounded by customers with known interests in fitness, sports, do-it-yourself projects and home décor. 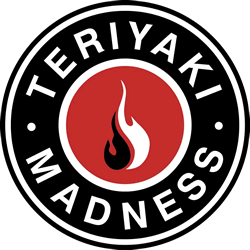 Teriyaki Madness is currently accepting inquiries from the following states: Alabama, Arizona, Arkansas, California, Colorado, Connecticut, Delaware, Florida, Georgia, Idaho, Illinois, Indiana, Iowa, Kansas, Kentucky, Louisiana, Maine, Maryland, Massachusetts, Michigan, Minnesota, Mississippi, Missouri, Montana, Nebraska, Nevada, New Hampshire, New Jersey, New Mexico, North Carolina, North Dakota, Ohio, Oklahoma, Oregon, Pennsylvania, Rhode Island, South Carolina, South Dakota, Tennessee, Texas, Utah, Vermont, Virginia, Washington, D.C., West Virginia, Wisconsin, Wyoming.